Each year during Hanukkah, my family participates in a friendly latke competition with 5 other families. 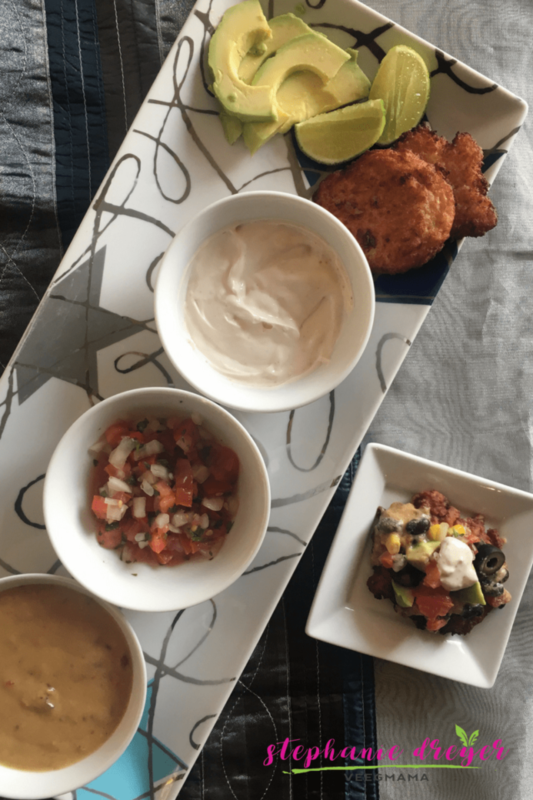 Everyone goes all out with out of the box creations, like “bagel and lox” latkes, mu shu latkes, taco latkes, sushi latkes, and more! It’s always a culinary adventure. 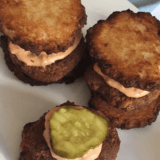 This year, I am excited to present this Vegan Latke Slider for entry. 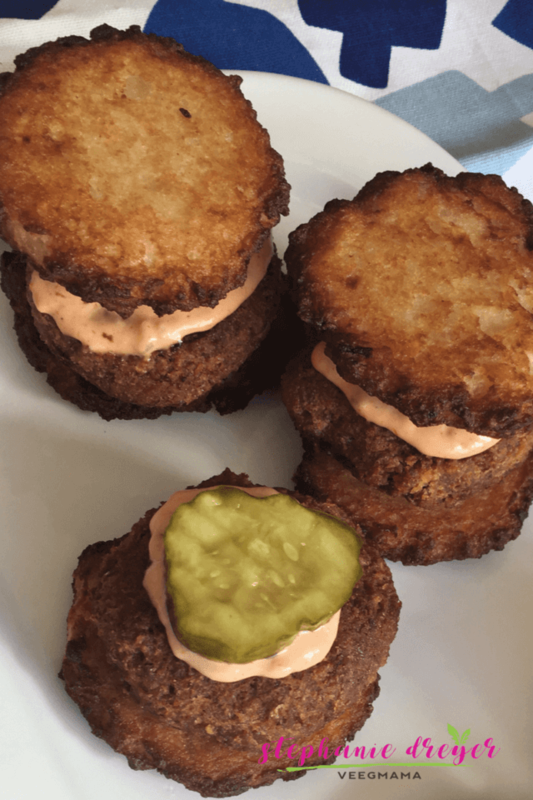 A seasoned Beyond Burger patty is sandwiched between two of my traditional crispy vegan potato latkes. It’s a burger in paradise right there, but no latke is complete without toppings! 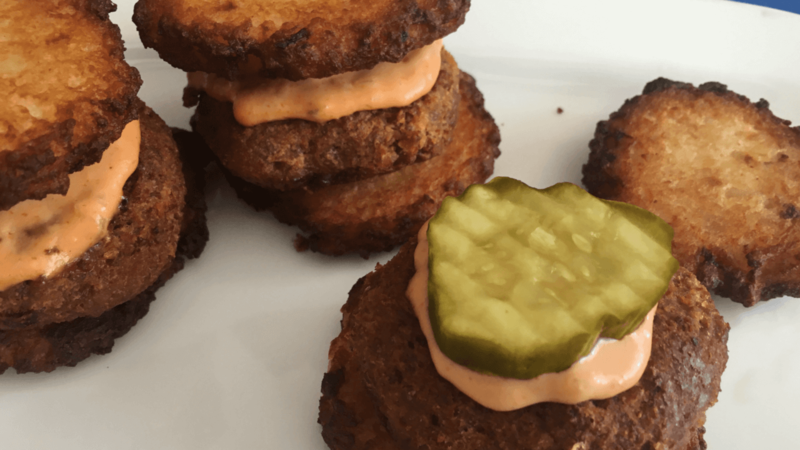 This Vegan Latke Slider is up for the challenge with a Bubbies pickle slice and dollop of Follow Your Heart’s Thousand Island dressing. 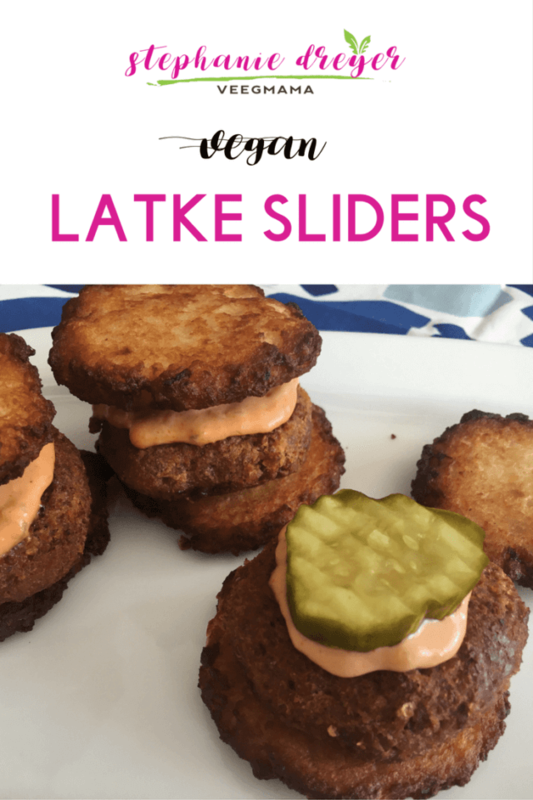 These sliders are sooooo good that you’ll be eating them long after Hanukkah is over. Wish me luck in the competition! 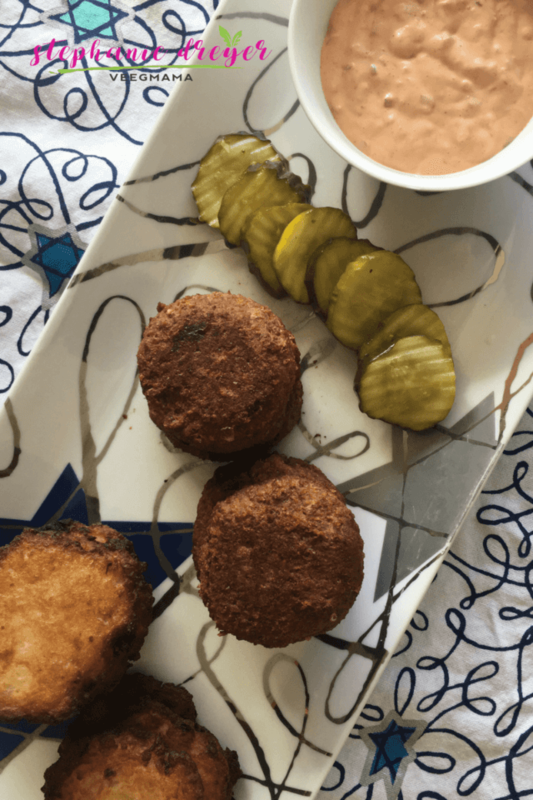 Combine the patties and seasonings in a bowl. Mix with your hands until fully combined. Divide the meat in half and then in half again, and in half again so that you have 8 portions. Roll each portion into a ball and flatten slightly in your hand to make a patty. Heat 1 tablespoon oil in a frying pan and swirl to completely coat the pan. Add the patties once the pan is hot. Cook about 5 minutes on each side until brown and crispy on each side. To assemble, place 1 slider on top of a latkes. Top with a dollop of dressing and a pickle slice. Top with another latke. 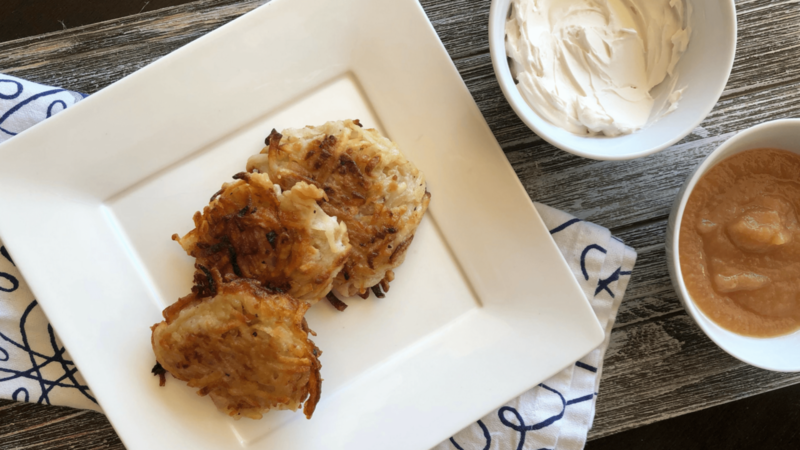 The secret to these traditional vegan potato latkes is to squeeze out as much liquid from the shredded onion and potatoes as possible before making patties. 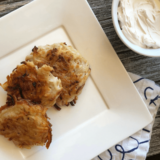 The result is a crispy, crunchy latke that doesn’t need any egg to bind it together! 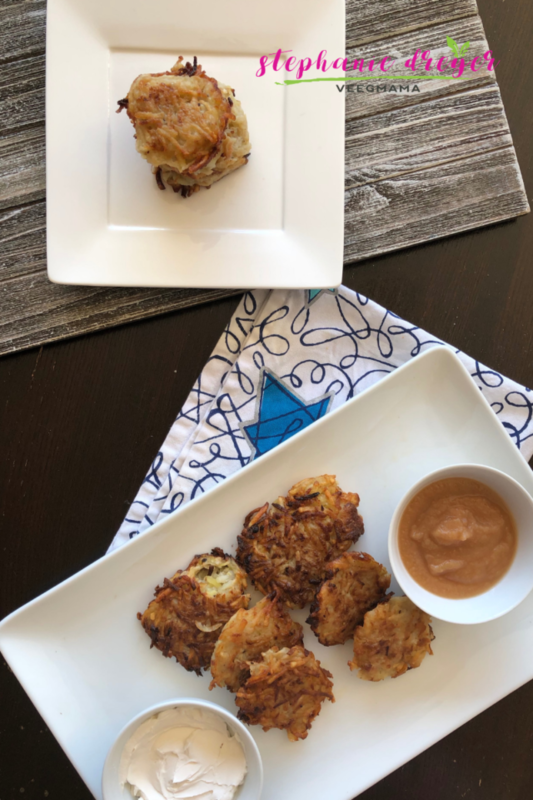 Be sure to have bowls of dairy-free sour cream and apple sauce ready for topping these savory potato pancakes! Slice the potatoes and onion into wedges to fit into a food processor feeder tube, and process with the shredder blade. Using a kitchen towel, squeeze out excess liquid from the potatoes and onions. Repeat with remaining potato mixture, adding more oil as necessary. Remove cooked potato pancakes to paper towels to drain. 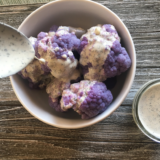 Serve with dairy-free sour cream or applesauce. 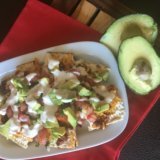 Vegan nachos!!! 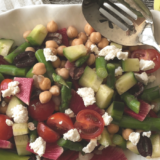 Oh my goodness, this recipe is so fun! 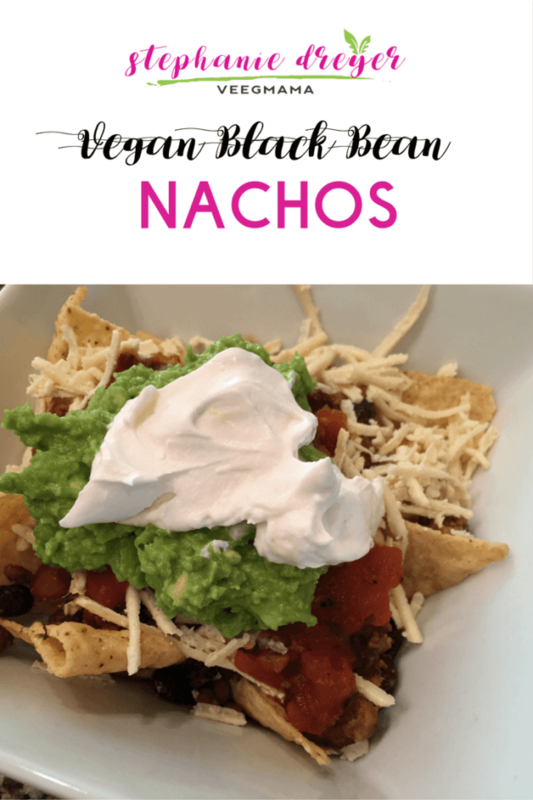 Whether you are making a platter for Taco Tuesday, stacking a pile for a poolside snack, or throwing a party with a DIY nacho bar, you are going to love this recipe for Vegan Black Bean Nachos. 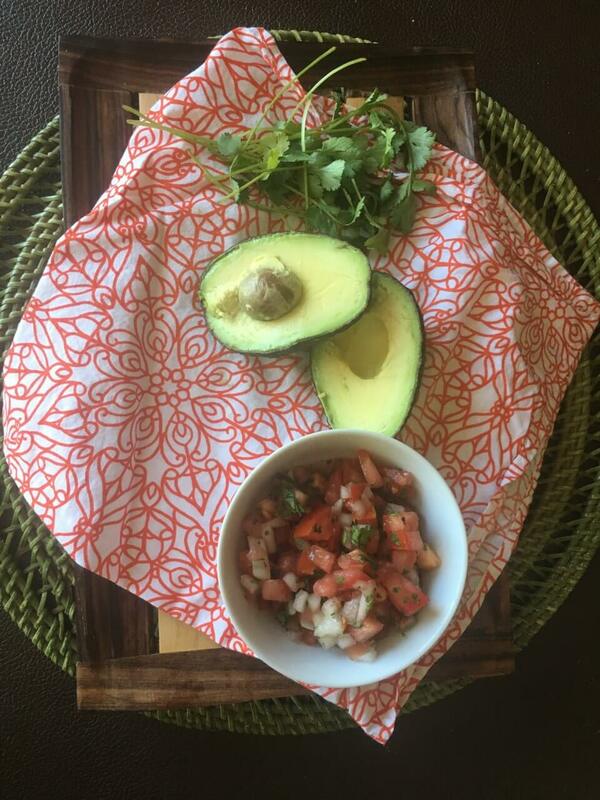 Cilantro….let your creativity take you to delicious places! 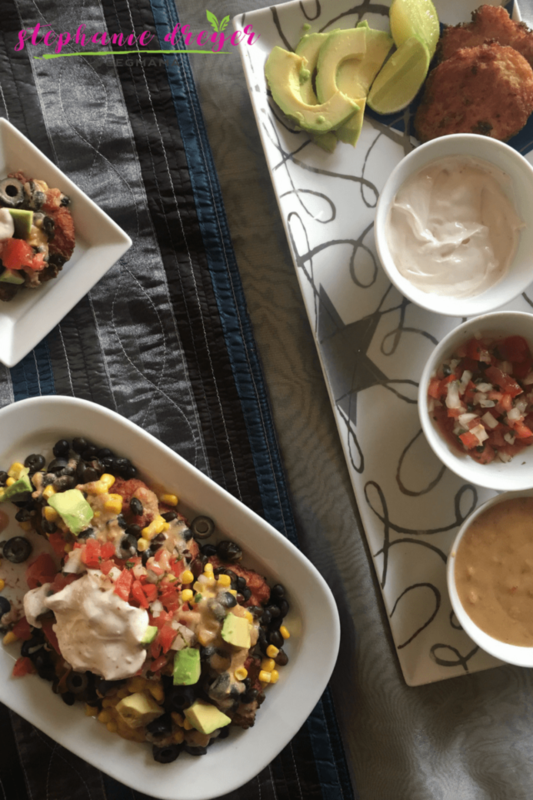 These are super easy to make and I really like the idea of setting up a DIY nacho bar for a fun way to entertain. Want more nachos? 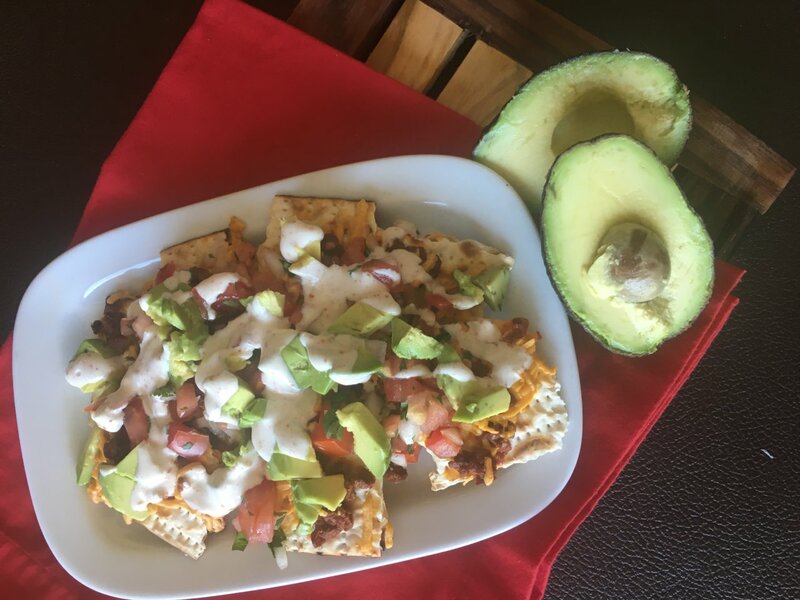 Get my Matzah Nachos recipe here! Heat broth in a saute pan and add onion. Cook 5 minutes until softened. Add the beans, corn, and taco seasoning. Stir to combine and cook 4 minutes until heated through. Set aside. Spread the chips into a microwave safe bowl or onto a dish. Spoon the bean mixture over the chips. Sprinkle the cheese on top, and microwave about 1 minute until the cheese is melted. 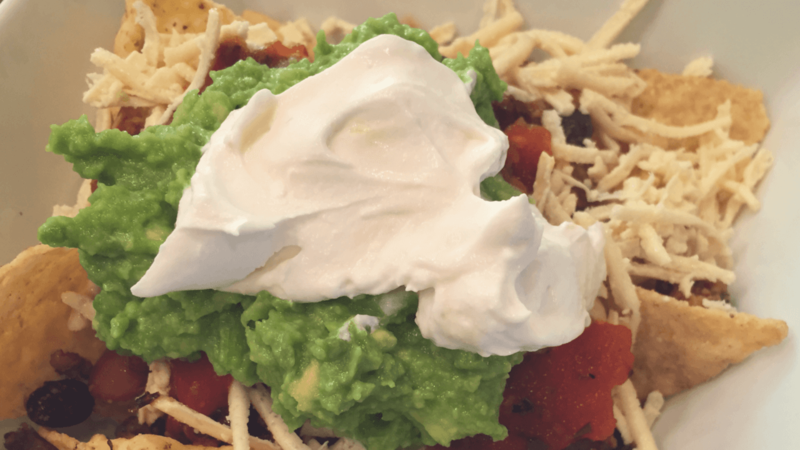 Top with dairy-free sour cream, salsa, and guacamole. 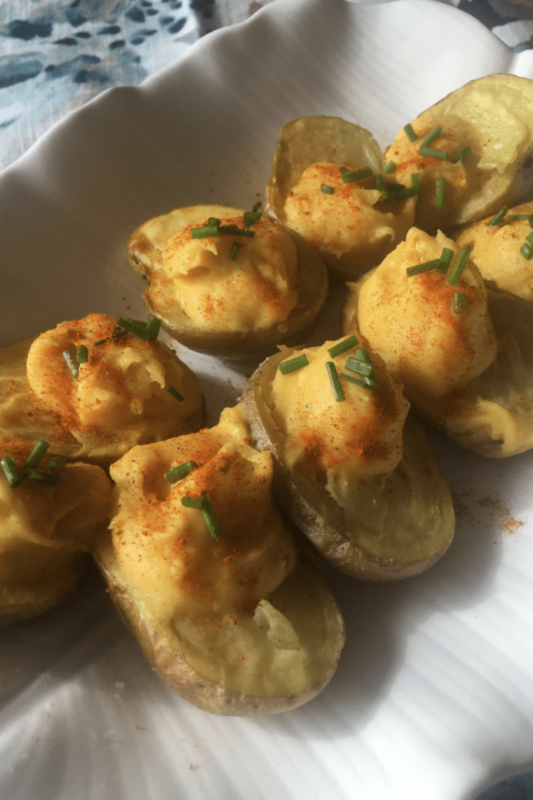 To make these vegan deviled potatoes, you first need to prepare the potatoes. These will be your shell in place of the egg. 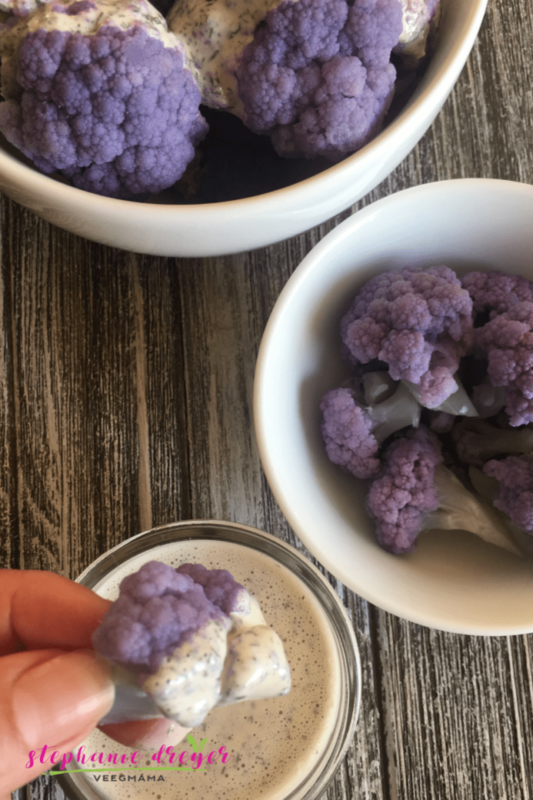 Look for the small baby gold potatoes, but you could also use the purple and red potatoes of the same size for a colorful dyed Easter egg inspired look! To prepare the potatoes, just slice and bake. 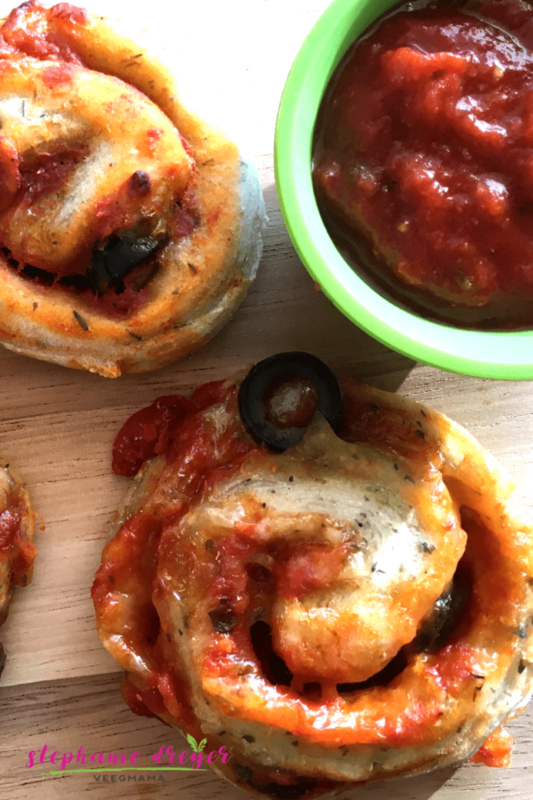 The filling is super easy and delicious. I used a blend of cannelini beans with the cooked potato (scooped out), along with some turmeric to give it a yellowish color. To fill your potatoes, use a pastry bag with star tip for a fancy presentation, or you can be lazy like me and use a cookie dough scoop instead! 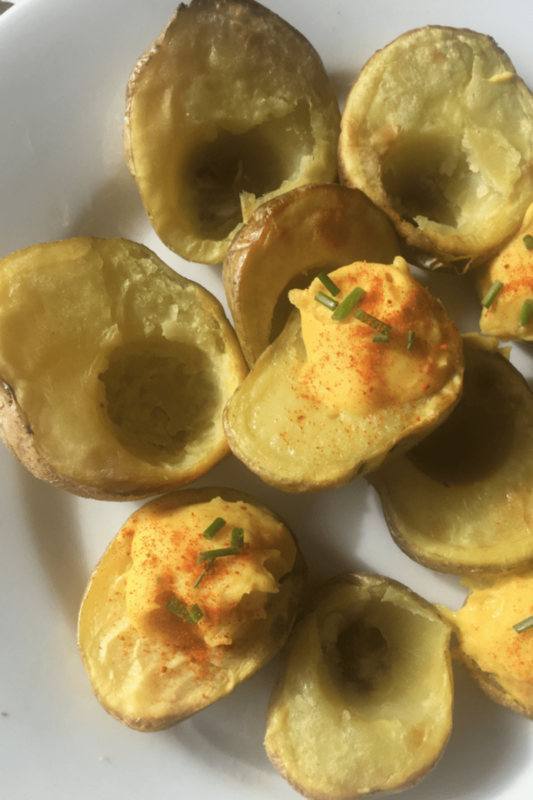 A note about scooping out your potatoes after they bake…use a small spoon (or melon baller) and be careful not to scoop all the way through to the skin. 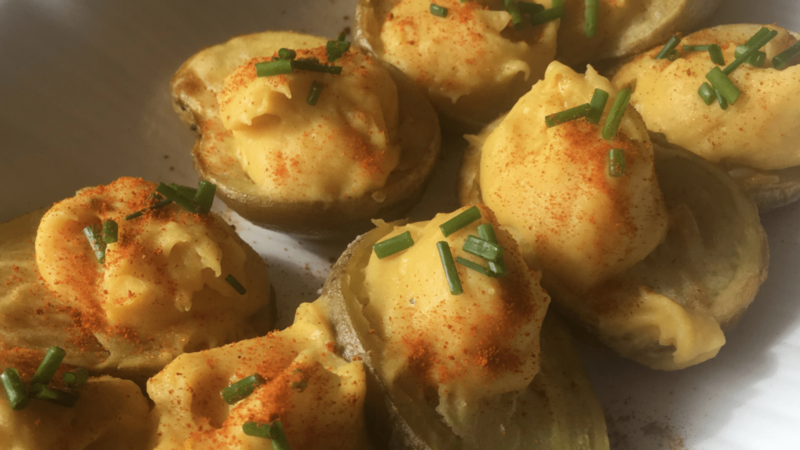 You just need a small hole for these vegan deviled potatoes. 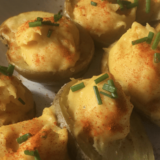 To serve, garnish with a sprinkle of paprika (that’s how my mom always does it!) and some chopped chives. Aren’t they pretty?!! 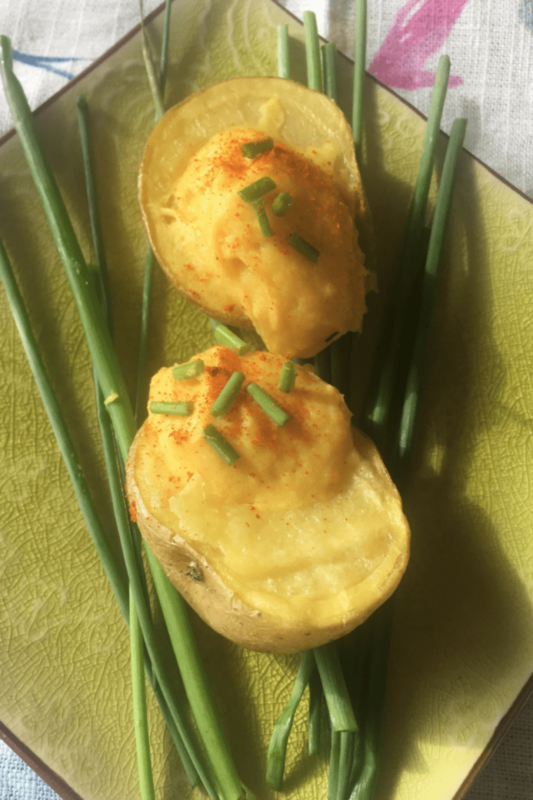 These vegan deviled potatoes just sing Spring to me when served on chives. I think the kids will have so much fun with these! Halve the potatoes and toss with salt and olive oil. Roast at 350 degrees for 30 minutes, cut side up. Cool 5 minutes and scoop out a small circle out of the potato, being careful not to scoop through to the skin. Blend the scooped potato and the remaining ingredients in a food processor until smooth. Add a little bit of water 1 tablespoon at a time if the batter is too thick. Using a pastry bag with a tip, or a cookie scoop, fill the hole in the potato. 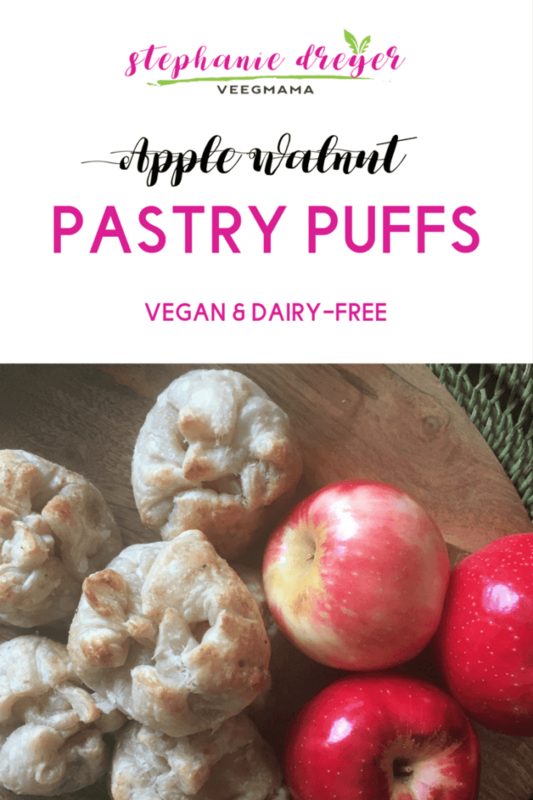 I think these apple walnut pastry puffs are adorable, if I do say so myself!! They look like mini purses – just like the one my sister made me for my wedding. 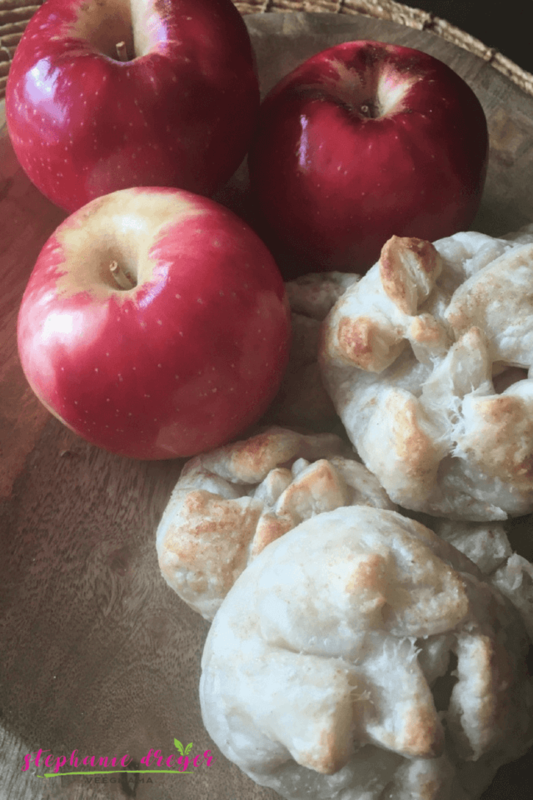 Little pouches bursting with apple walnut goodness. 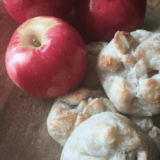 I was inspired to make these apple treats in honor of Rosh Hashanah. Rosh Hashanah is the Jewish New Year and a very festive time of year for Jews. Rosh Hashanah, along with Yom Kippur are the holiest of Jewish holidays so I like to make a little extra fuss over the food we eat on these holidays. Apples and honey, (or agave, for us vegans), are traditional foods eaten during these holidays. We eat them to usher in a “sweet new year.” I am a big fan of puff pastry when it comes to sweet treats. It is super versatile and easy to use, and if I am being honest, it looks beautiful no matter what you do to it. It’s a heck of a lot easier than making my own pie crust, which I never do! I prefer Aussie’s brand, which is eggless and dairy-free. 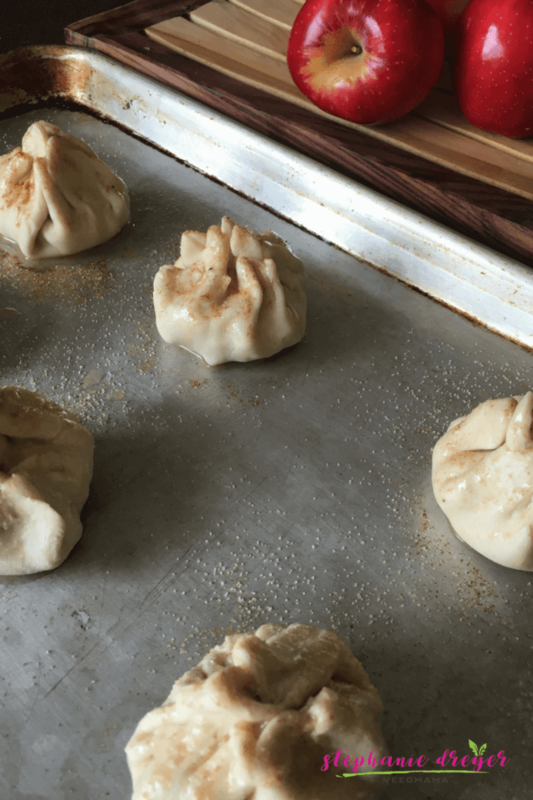 The filling in these apple walnut pastry puffs is a reinvented haroset recipe from Passover – an apple/nut mixture that is spread on matzah. Each pastry sheet makes 6 puffs, so you get a full dozen treats from one package of puff pastry. To make things extra special, I brushed some melted Earth Balance over the puffs and sprinkled them with cinnamon sugar before baking them. 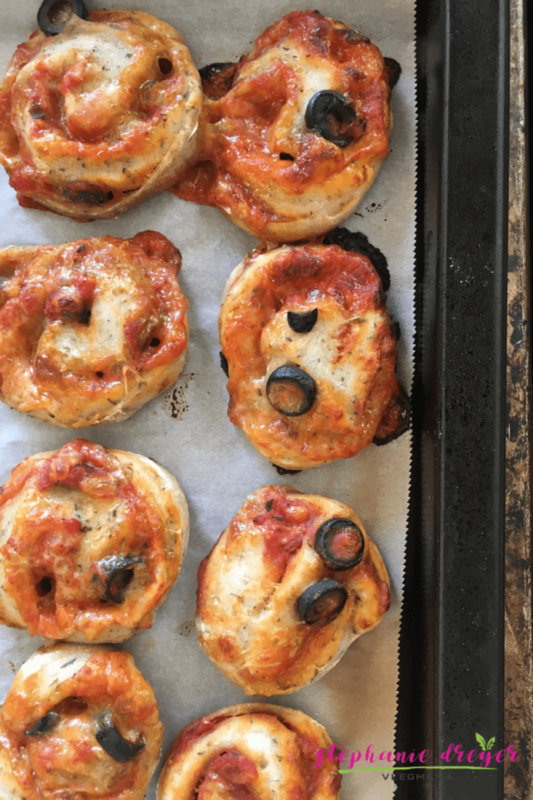 You can prep and bake these within 30 minutes if you thaw the puff pastry before hand. So simple and elegant! Thaw puff pastry for about 45 minutes. Roll out and cut each sheet into 6 squares. Combine the apples, walnuts, juice, cinnamon, and agave in a bowl. Place a heaping spoonful of the apple mixture in the center of each pastry square. Gather the sides and pinch together in a "purse." Brush with the melted butter and sprinkle with cinnamon sugar. 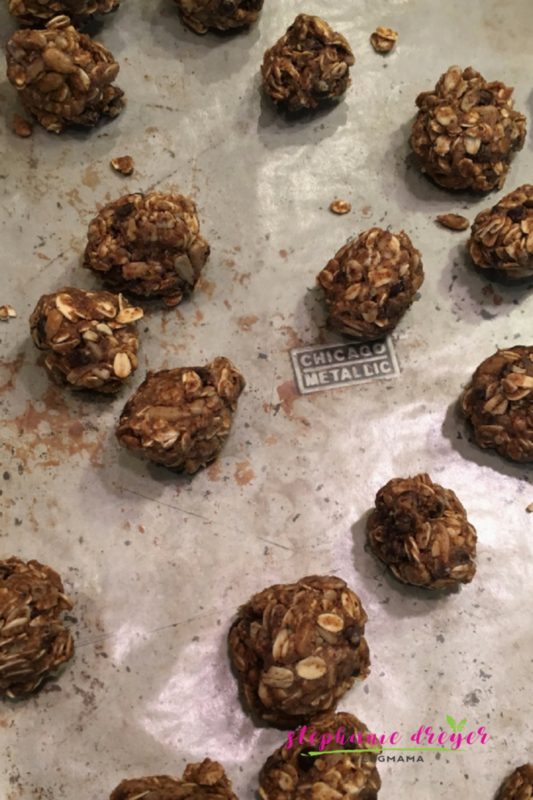 Place on a cookie sheet with cooking spray and bake for about 10 minutes until golden brown. 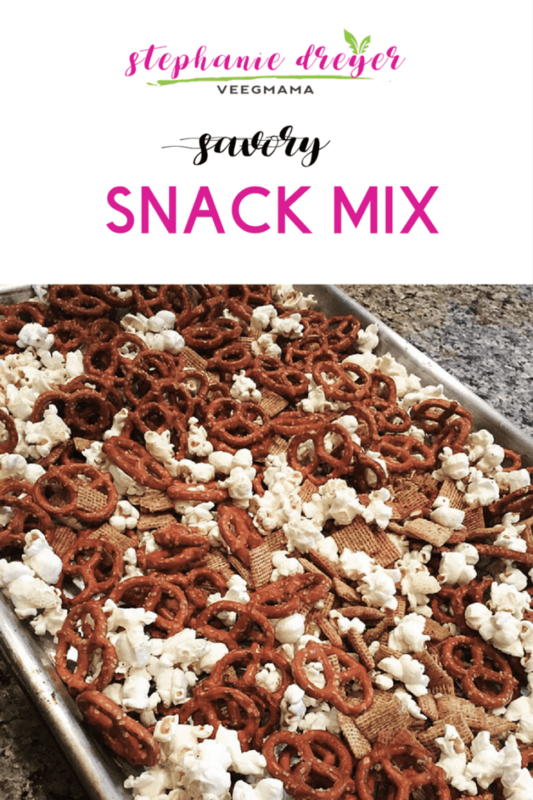 If you like to batch cook your snacks for the week, you are going to love this recipe! With school back in session next week, this will become part of my weekly Sunday prep. I will pack it in my kiddos’ school lunches all week long. My husband loves it too! This is a savory blend, but you could also make it sweet by using Cinnamon Sugar. 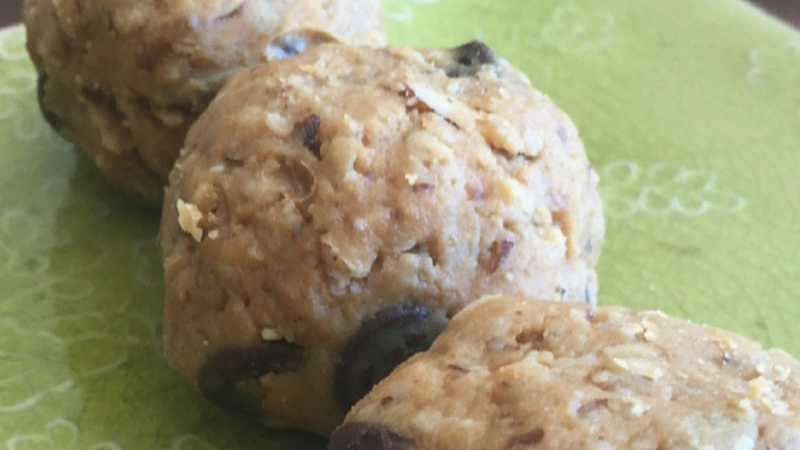 This is also easily made this gluten-free by using gluten-free pretzels. Try it out and let me know what you think! 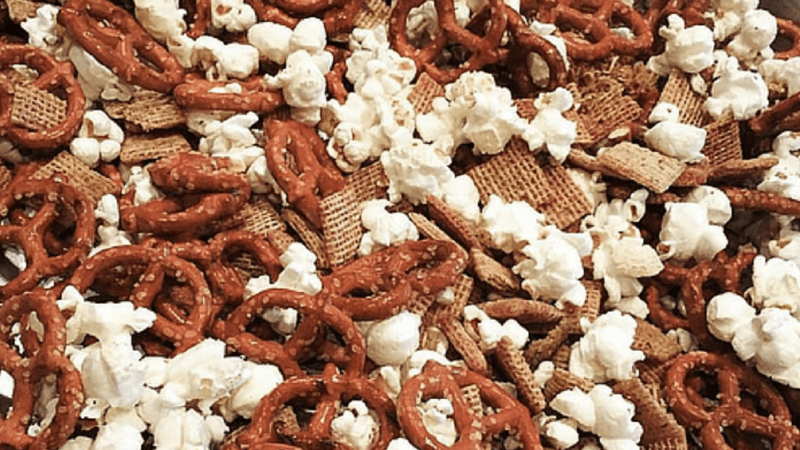 Spread pretzels and cereal in a single layer on a cookie sheet. Pour Earth Balance melted spread over the mix. Sprinkle your seasoning on top and toss until well combined. Remove from oven and allow to cool about 10 minutes. Stir in the popcorn. My kids went crazy for yuca while we were in Miami this past summer. Yuca is also know as cassava, and is a starchy plant that is tubular in shape, kind of resembling a sweet potato. 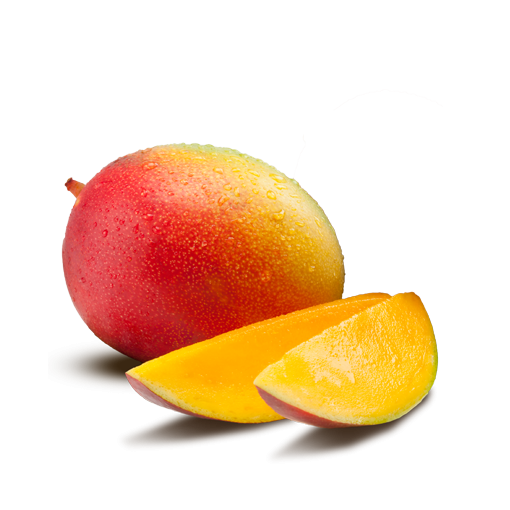 It is commonly eaten as fries and popular in Cuban cuisine in the U.S. 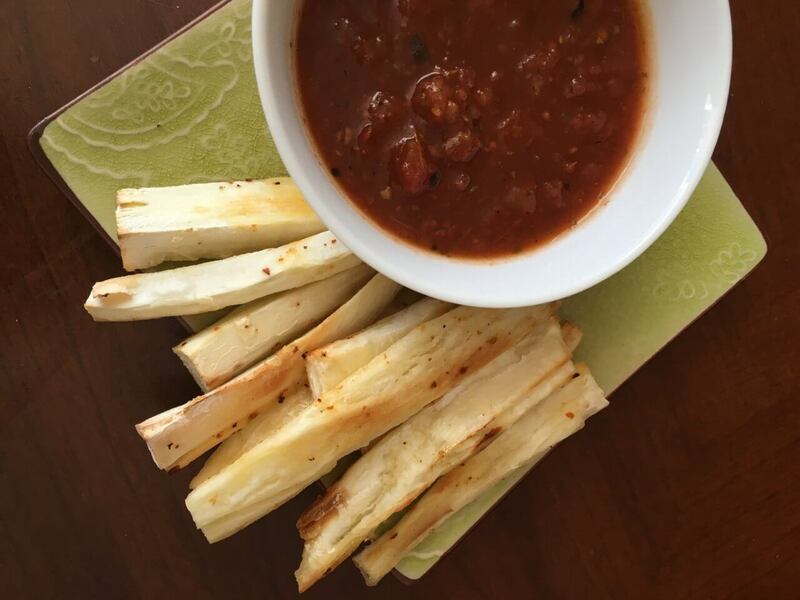 I decided to create a healthier version of the yuca fries my family has come to love. These baked yuca fries are surprisingly quick and simple to make with just 3 ingredients! 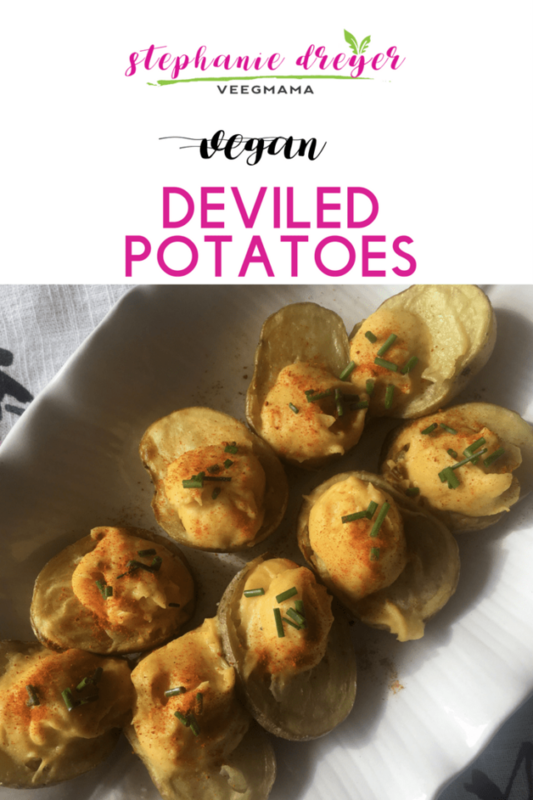 Not only are they vegan, but they are also naturally gluten-free. The hardest part of this recipe is peeling the yuca, which you do very carefully with a knife. A regular vegetable peeler won’t penetrate the skin, so you have to use a knife to pry a small piece off and then use your fingernails and a paring knife to pull it off. 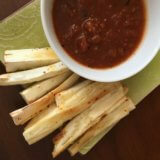 Once you have the yuca peeled, slice it into fry sticks, toss with olive oil and seasoning, and then bake. Super easy! 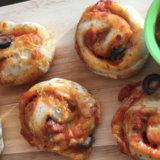 I served it alongside our favorite roasted chipotle salsa, which the kids loved. Toss the yuca with the olive oil and seasoning. Spread the yuca sticks onto a baking sheet and place in oven for 7-10 minutes until golden brown. 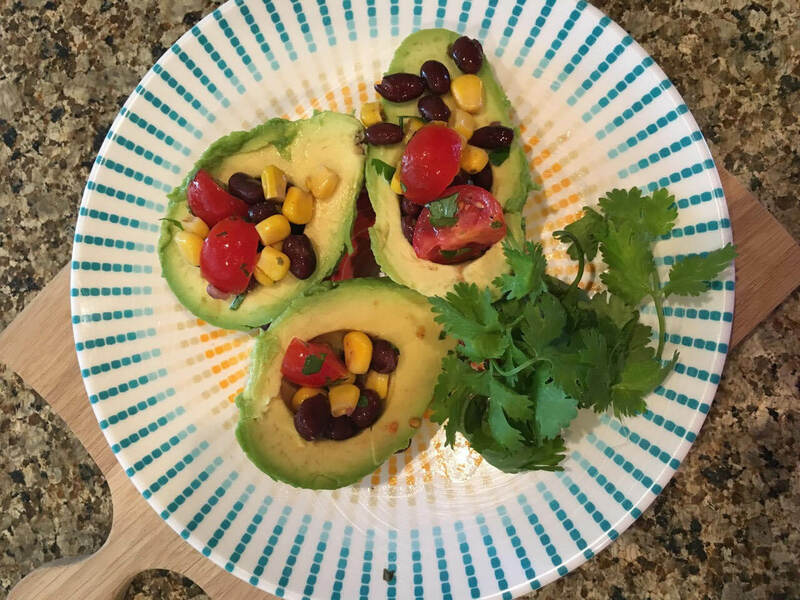 Allow to cool and serve immediately with salsa for dipping. 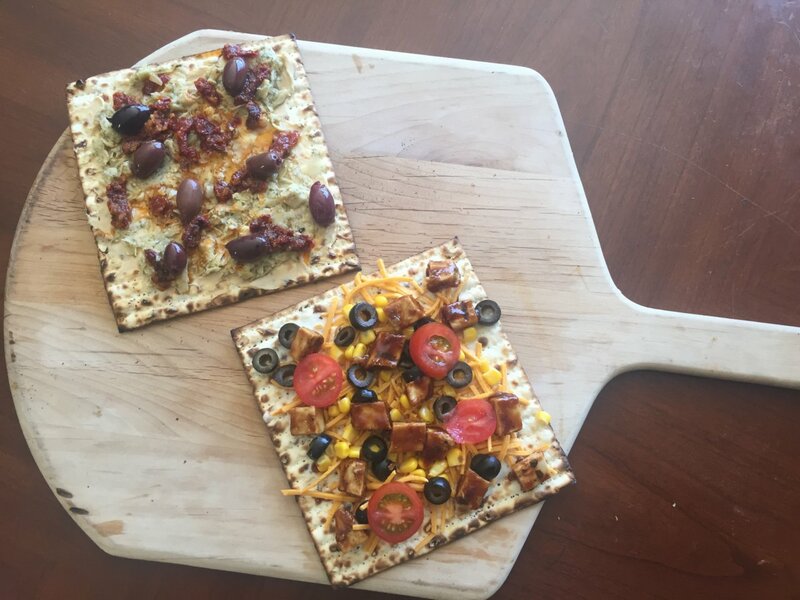 Place each matzah cracker on a baking sheet and top with 1 tablespoon of sauce, your selected toppings and 2 tablespoons of shredded cheese. 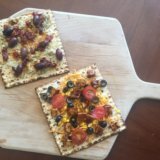 Although chips and salsa are not a traditional Jewish or Passover, food, I am breaking tradition with this recipe for vegan matzah nachos. 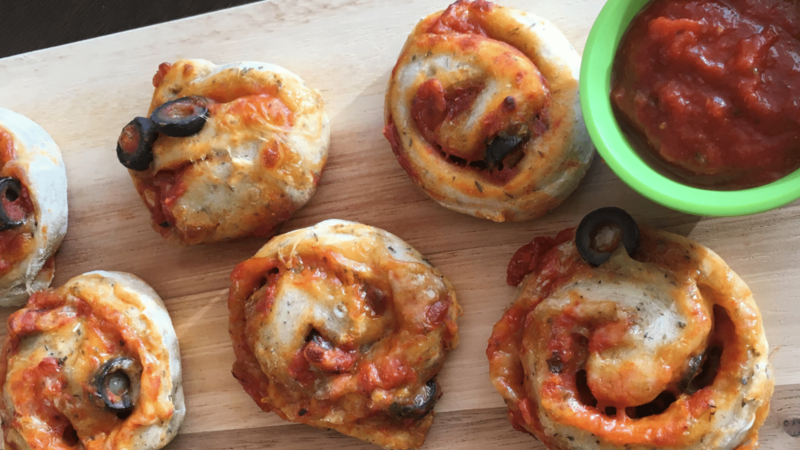 It’s fun, easy, and super tasty! I used Tofurky’s Chorizo, but of course, pick your favorite brand. 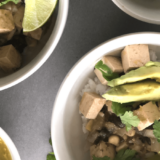 As a chorizo alternative, you could also substitute chopped tempeh bacon for a smokier flavor. If faux meats aren’t your thing, simply omit it and add more beans. 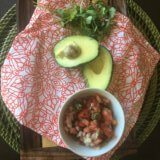 I made a fresh pico de gallo for this dish. 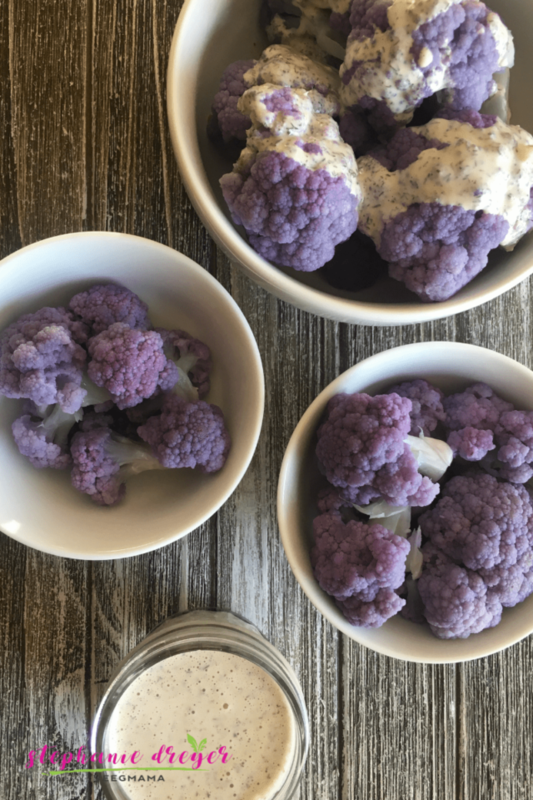 It brightens the flavors in the matz-os, but this recipe would be just as delicious with a store-bought fresh salsa, or even a jarred variety. I have found that Daiya shreds work the best for the melty texture you want on your matzah “chip,” but you could also melt down a cheese such as Heidi Ho and drizzle it over the nachos instead. Just omit the cheese from the first step and add it on in the second before the salsa. 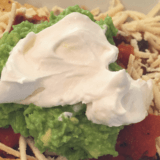 Enjoy these vegan matzah nachos with the toppings I have suggested below or get creative with your favorite ingredients. For even more fun, set out a matz-oh bar as a fun first course to your Passover seder! Enjoy! My kids love popcorn. Like really love popcorn. It’s the first thing they ask for when I pick them up from school, and usually what they want after dinner for another snack! My husband makes the BEST homemade popcorn and that is saying a lot. I was raised on my dad’s popcorn, formerly the BEST (sorry, Daddy), but Dave’s popped kernels are always a treat. 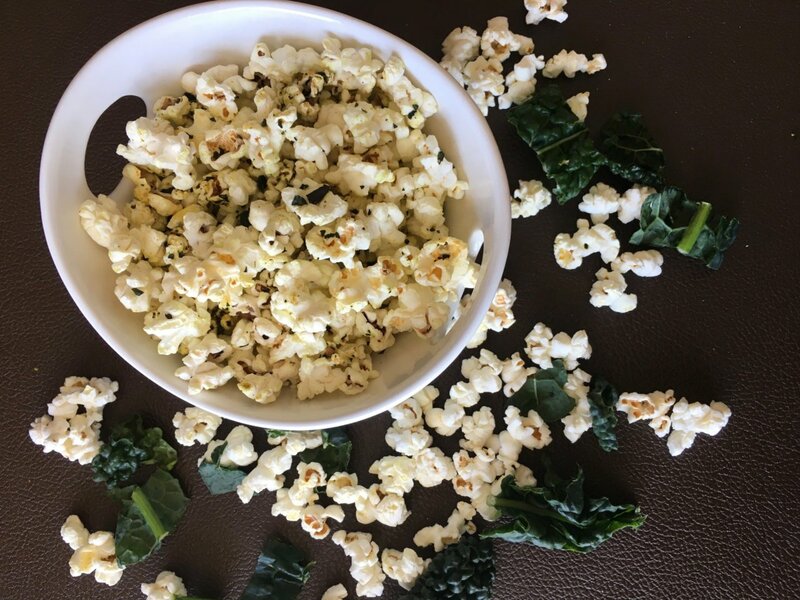 We drizzle our corn with melted Earth Balance and dust it with sea salt and nutritional yeast. The BEST! 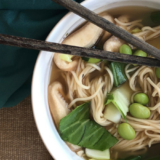 It is truly a comfort food in our family, and a fairly healthy one at that. We ditched the microwave bags a while ago after learning about how many chemicals are in them. 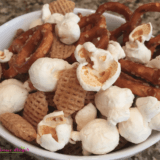 Although easy and quick, we have replaced them with this microwave popper that yields about 4 cups of popcorn in about 4 minutes. It’s just a tad more effort then the Orville Redenbacher bags, but much healthier. 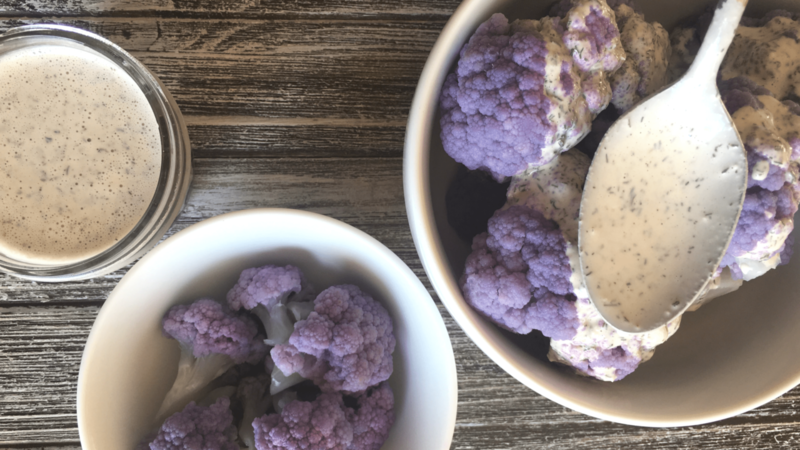 I have recently discovered Miyoko’s Kitchen’s European Style butter and highly recommend it as an alternative to Earth Balance that will blow your taste buds. I am kinda in love with it right now. 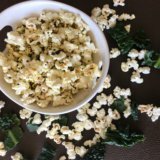 Besides salt, I have been having fun with some other healthy popcorn toppings. The ones below are savory and salty, just what my family always craves. 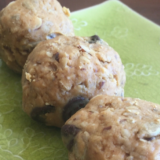 They also include some surprise superfood ingredients, kicking up the nutrition factor in this already healthy snack. Read on below and I dare you not to pop up a batch now! Toss the kale with the olive oil, seasoned salt and nutritional yeast. Place the kale in the basket of an air fryer at 370 degrees for 5 minutes. Do not overcook or the kale will become bitter. Crumble the kale into a bowl. 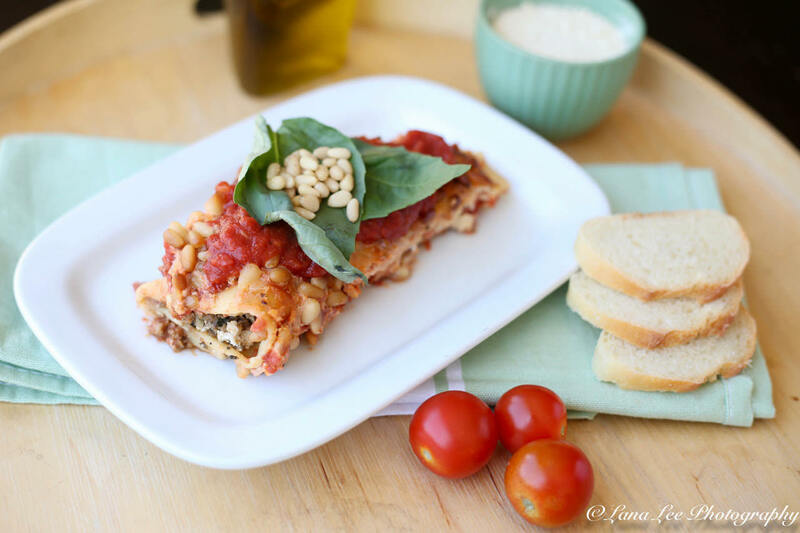 These vegan lasagna rolls are my latest pasta obsession. I am not sure why, but I have been craving pasta like crazy this past month. It is probably my ultimate comfort food, (next to chips and salsa), but I eat it sparingly because of the carbs.